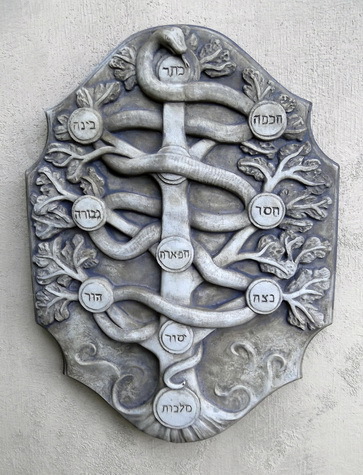 Tree of Life – "Fine sculpture for every environment"
According to the ancient Jewish mystical school of Cabbala, the Tree of Life is a map of consciousness. It consists of 9 Sephiroth or spheres (some schools accept 10); each representing an aspect of consciousness. The lowest Sephiroth – Malkuth, represents material consciousness or animal consciousness; the highest Sephiroth – Kether represents the ineffable Mind of God. This original representation features the hidden Sephiroth – Daath, and the primordial serpent Sata guarding the Tree.